Home NEWS Cleric dismisses churches administering circumcision of boys as unchristian and ritualists..
Cleric dismisses churches administering circumcision of boys as unchristian and ritualists..
Apostle Francis Kilango of Springs Of Life Apostolic Church and Ministries based at Kabati in Murang’a County. A Murang'a-based bishop has dismissed as outdated, awkward, unbiblical and unacceptable, the 'erroneous' rite of passage that has been taking place in parts of the country inside the precincts of church compounds. 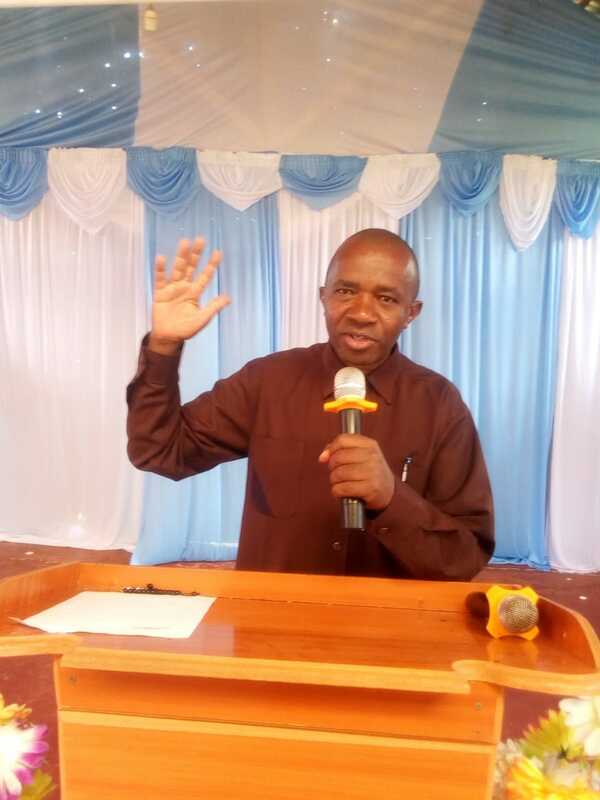 Apostle Francis Kilango of Springs Of Life Apostolic Church and Ministries based at Kabati in Murang’a County terms this exercise as quite anti-Christian and taking people in backwardness. He has condemned the ongoing circumcision of boys in churches saying churches are places of worship and should never been converted to traditional shrines where blood of the foreskin is shed in the name of circumcision. Apostle Kilango claims that rite of passage is among a host of other traditional cultures where the elders perform the rituals on behalf of the ancestors which as part of ancestral worship. “These practices have no bases in the Christian doctrines. The book of Titus 1-10-11, says, ‘For there are many rebellious people, idle-talkers and deceivers, especially those of circumcision who must be silenced because they mislead whole families by teaching for dishonest gains what ought not to be taught.’ In the new International version says, ‘They are ruining the whole households merely for the dishonest gains, sought in fact for money, the love of which Apostle Paul in 1st Timothy 6-10 is the root cause of all evil,” explains the prelate. Kilango blames parents and church leaders for being ignorant and negligent of abdicating their role, leaving the boy-child at the mercy of strangers. “Parents and the church have abdicated the responsibility of parenthood and spiritual guidance to strangers,” he says. Apostle Kilango who has written a book on, “Family curses” depicting on how the devil establishes evil altars through rituals such as rite of passage to the boys, initiation to eldership to the grown up men and traditional dowry to the girls where blood has to be shed saying the ongoing rite of passage should be stopped henceforth and the boys taken to hospital for proper cut and guidance. However, Apostle Kilango says if the boys must undergo the cut, then it should be done professionally in the hospital instead of the demonic, torturous erroneous cut which has led many boys being circumcised twice. “Though I don’t propagate for men not to be circumcised, circumcision is not biblical and not a must according to the scriptures, instead of this demonic torture, better the boys stay uncircumcised,” says Apostle Kilango. He says circumcision should be done in a humane way and the boys should be taught about the doctrine of Christ and not traditional doctrine.